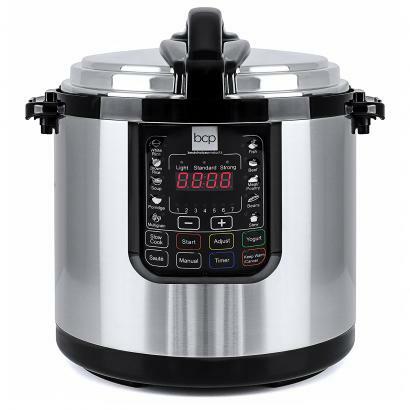 While six-quart pressure cookers are readily available at most stores, you may need one that's larger if you have a big family or use them for events. Home cooks will want to look for units over 10 quarts in their kitchens to prepare bigger portions of their delicious dishes. The GoWISE 14-quart electric pressure cooker is recommended by The Spruce for large capacity pressure cookers. It has 12 different setting modes and you can set it to saute, slow cook, and even make yogurt. You can also set it and forget it with the delay function on the timer. Priced at less than $150 from a variety of retailers, plus the company itself, you're sure to find a lot to love about this big cooker. The blog Corrie Cooks fit just about 37 cups of food safely into this cooker. TopTenReviews says you can easily feed 10 to 15 people using the cooker. Reviewer ShinyPenny at Home Depot notes they could have "easily cooked" two or possibly three six-pound pork butts in the cooker. 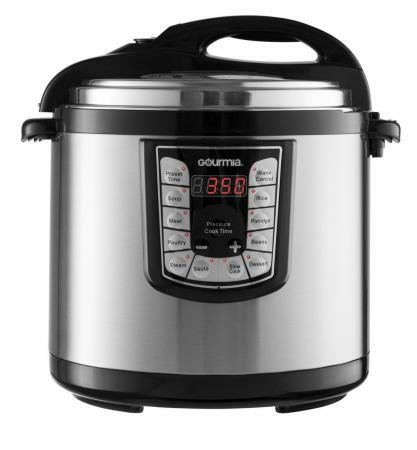 The Gourmia SmartPot 8-in-1 Programmable Pressure Cooker comes in at a large 12-quart capacity. There are 13 different cooking modes ranging from steam to saute, plus auto and customizable modes. It also has a timed delay and if your cooker loses power (due to a storm or other outage), it will start again after power is restored. You can find it anywhere from around $130 to $270 depending on where you purchase it. 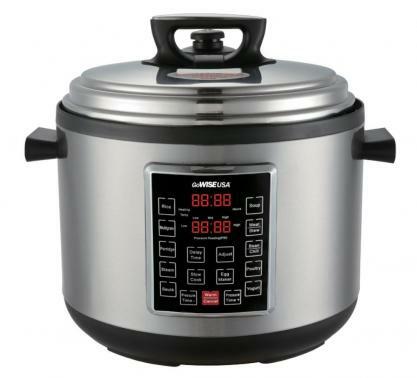 Best Choice Products sells an affordable 12-liter pressure cooker. Twelve liters is just over 12 quarts when converted. It has 10 settings and three cooking modes so you can set it and not worry about your food cooking properly. This is an affordable option for large capacity cooking, coming in at anywhere from $100 to $150, depending on where you purchase it. Stephs Cheers and Jeers recommends the electric cooker as part of her 2017 Holiday Gift Guide. Walmart reviewer Sisk notes that you can easily cook food for 10 to 15 people with this pressure cooker. 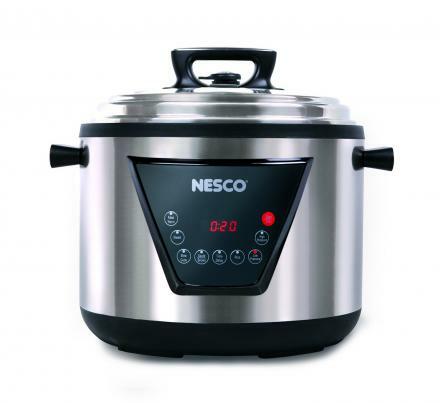 The Nesco 11-Liter Pressure Cooker (just over 11 quarts in size when converted) costs around $90 to $150 depending on the retailer where purchased. 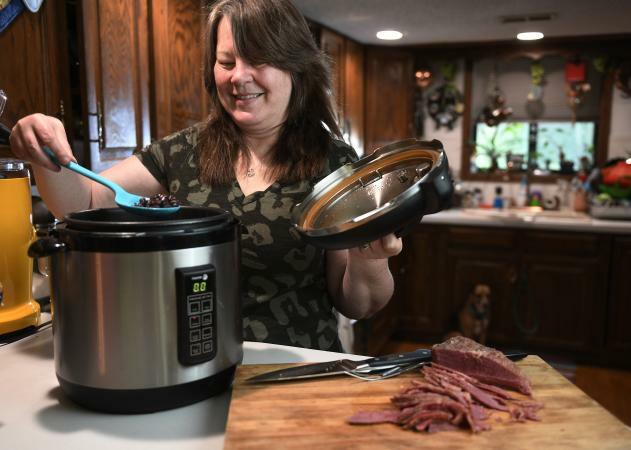 While it has fewer bells and whistles than the other big cookers (five settings), the company does say it can hold up to nine half-pint jars. Per the cooking manual and recipes, the slow cooker can hold up to two racks of ribs (approximately 12 pounds) and four pounds of chicken. How Much Food Can It Fit? While your pressure cooker might say it is 12 quarts or 11 liters in size, you won't be able to fit that exact amount in the cooker. Each cooker will have specific instructions for using the various cooking modes and following recipes. Instructions for filling your cooker should be followed closely for safety reasons; most cookers will have instructions for filling to half or two-thirds capacity depending on what you plan to make. hip pressure cooking highlights this issue, showing that for a 12-quart cooker, you'll only fit about eight quarts at two-thirds full and six quarts at half full. For the 14-quart cooker, this would be about nine quarts and seven quarts, respectively. While popular six- and eight-quart pressure cookers are often the perfect size for cooking a single meal for your family of four or so, there are times when having a large capacity cooker is beneficial. Pick from one of these bigger models and you're sure to have enough to feed a crowd.